The central probe agency said it has issued a provisional order attaching the assets of Manish Saraogi, an accused in the case, and his family members and a few others. NEW DELHI: The Enforcement Directorate has attached assets worth Rs 2.65 crore as part of its probe into allegations that stash funds to the tune of Rs 500 crore were illegally routed by operatives using fake bank accounts post demonetisation in Katni district of Madhya Pradesh. "The properties attached are five land parcels in Raipur worth Rs 2.31 crore owned by M/s NMPL, 17 land parcels owned by Saraogi and his family worth Rs 28.69 lakh and a land parcel in the name of wife of Manvendra Mistry worth Rs 4.93 lakh," the Enforcement Directorate (ED) said in a statement. 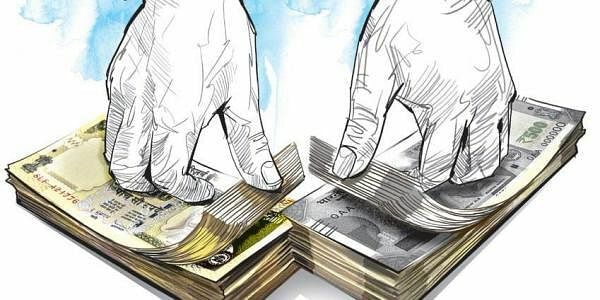 The ED registered a case under the Prevention of Money Laundering Act (PMLA) in January this year taking cognisance of four FIRs filed by police in Katni. The agency said its investigation revealed that more than Rs 200 crore was deposited in cash in 39 accounts in an Axis Bank branch in Katni, which were being operated and controlled by the Saraogi family and Mistry. "This cash was then rotated amongst these fraudulently opened accounts and then transferred to the beneficiary accounts through intermediary accounts of dummy companies mainly controlled by the Saraogi family," it said. It added that Saraogi and Mistry are the "main persons involved in this criminal" case, along with a few others. The case assumed political overtones after the then Katni Superintendent of Police (SP) Gaurav Tiwari, considered to be instrumental in taking the probe into the case forward, was transferred to Chhindwara district by the government. While the opposition Congress alleged that the SP was transferred to "hush up the scam", the state government said that there was nothing to hide and full investigation into the case would be conducted.